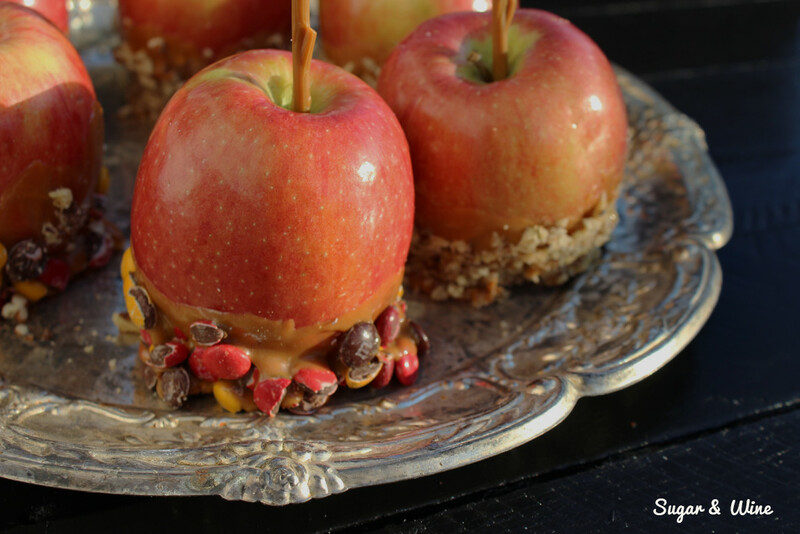 Typical caramel apples are completely covered with caramel, then add in the toppings, and I’m facing down quite the high calorie snack…I mean dessert. So, I’ve lightened the load a bit. Did I lighten the caramel? Nope. 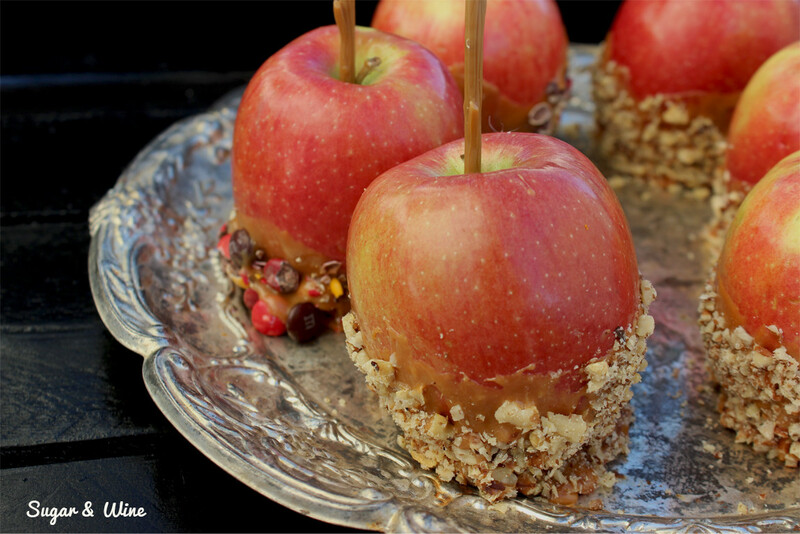 I simply only covered half of the apples with the caramel. 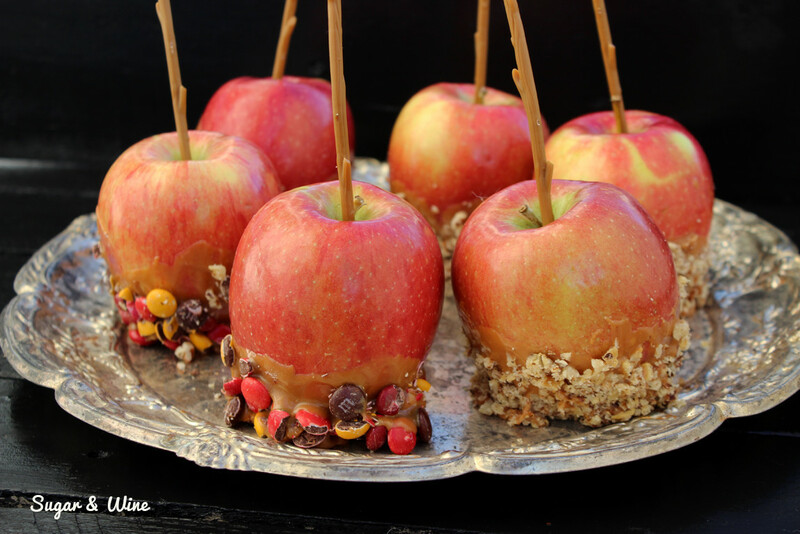 I mean, do I NEED the whole apple covered in caramel? Probably not. I’m going to chop it up into slices so having a little less caramel really isn’t that big of a deal. That’s my big tip: moderation. And, the apples are still pretty. They still have pecan, walnut or M&Ms topped on it. They are still a treat, just fewer calories. By the way, how cute are these sticks in the apples? I picked up an entire package from Michaels for about $4. They are totally reusable too. Fill a medium sized pan with two cups of water and place on medium heat. While the water is heating up, unwrap the caramels and place them in a double broiler or a heat-safe bowl that will fit on top of the pan. Once the water is boiling, place the bowl of caramels on top and lower the heat to low heat. Add in two tablespoons of water to the caramel. Occasionally stir the caramels as they melt. While waiting for the caramel to melt, chop your toppings and place them on a cutting board for easy clean up. Secure the sticks in the apples. Once the caramels are melted, dip the apples about half way in the caramel and then roll in desired topping. Place the finished apples on wax paper to let them cool. Serve when they are completely cooled off. Enjoy!